Do you have an old photo of your company's facility, equipment, or staff that you would like restored? An amateur shot that you would like to look as if a professional had captured the image? Or have you recently launched a new product line or moved to a new facility and need photos that reflect how your company has evolved? Dynamic Digital Advertising (DDA) is a pioneering digital photography company located near Philadelphia, Pennsylvania and offers clients the full range of digital commercial photography services for a variety of advertising media. 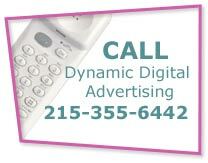 (215) 355-6442 or emailing us at info@ddapa.com. Before digital technology was introduced, photo manipulation could only be accomplished by retouching images with ink, double-exposing images, piecing photos or negatives together in the darkroom, or scratching Polaroids. As photography has evolved and digital imaging hardware and software has come down in price, even novice photographers have discovered ways to “doctor” photographs. Today, digital photo manipulation has become commonplace and fake photos are becoming harder to identify. In fact, digital photo manipulation is considered by some to be a new form of art. As art, photos can be altered in an unlimited amount of ways, however, as this practice enters photojournalism and the media, issues of ethics come into play. Dynamic Digital Advertising, a professional digital photography company specializing in commercial photography, knows how to creatively manipulate images and still maintain photographic integrity. Your customers see enhanced, not distorted, views of your products, services, equipment, facilities, or staff. With our digital commercial photography services, your promotional materials showcase improved, true-to-life images. Experienced in all the latest versions of digital imaging software and hardware and Photoshop-type photo manipulation programs, our professional photographers produce custom images in a state-of-the-art in-house digital photography studio for clients based throughout the country from Baltimore, Harrisburg, Chicago, and Minnesota to Florida, Texas, Virginia, and more. Contact DDA today to discover how our digital photography services for photo manipulation can take your brochures, custom website design, and other marketing materials to the next level. DDA Medical, a full-service medical marketing and advertising agency, makes it easy for you to reach patients looking for your special skills with innovative strategies for advertising for medical services. With a specialty in physician advertising, as well as general medical healthcare practices, DDA Medical develops successful ideas for medical advertising to reach local, national, and global patients. DDA Medical also implements medical marketing strategies that can help you communicate effectively with direct-to-consumer or business-to-business medical advertising. Whether you are in need of medical video for medical waiting room advertising or medical website design to advertise your medical practice, DDA Medical is the best choice. DDA Medical also provides medical marketing services such as medical webcast, medical print design, medical trade show graphics, and patient information and referral services. Easily create innovative and compelling videos with Dynamic Digital Advertising’s (DDA) video production services. As a full-service advertising agency with complete video production services, DDA can create the most unique Corporate Video or Medical Video to showcase your company’s products and services. DDA is a one-stop-shop with the capabilities to provide everything from preproduction to postproduction video services, including scriptwriting, storyboarding, casting, filming, editing, CD-ROM and DVD production, and disk label and case design. Further enhance your video production with 3D animation or special effects (FX) that will engage the viewer. 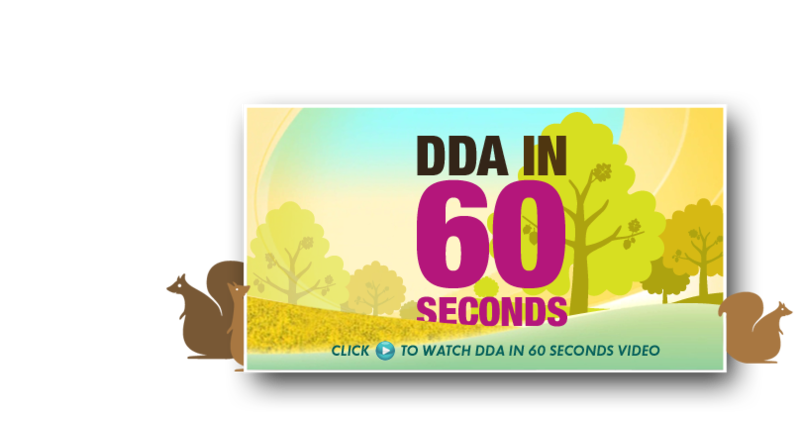 To create the highest quality video production for you company, it’s all done under one roof here at DDA. Is your pay-per-click program just not generating the revenue stream that you expected? Are your profits failing to cover your advertising expense? Stop wasting time and money, and instead invest in organic search engine optimization services from Dynamic Digital Advertising. We are a custom web design and development company servicing companies based nationally and regionally in Pennsylvania, New Jersey, New York, Delaware, and Maryland. Although we do offer pay-per-click programs to those who request it, we encourage companies to let us build your site from the ground up so you rank high on search engines without having to pay a fee each time someone enters the site. In addition to being an expert in digital photography and custom web design, Dynamic Digital Advertising is a cutting-edge graphic design firm. We employ an in-house staff of industry-leading graphic designers who are degreed in their field and have years of experience producing designs that run the gamut from professional to comical for clients from most all industry segments. Our designers incorporate balanced layouts, brand colors, high quality photos, and much more for an overall design that appeals to a target audience and sells products or services.